3. In Server Properties window click Edit Defaults > Default Server Properties window will be opened > Adjust Port value accordingly. 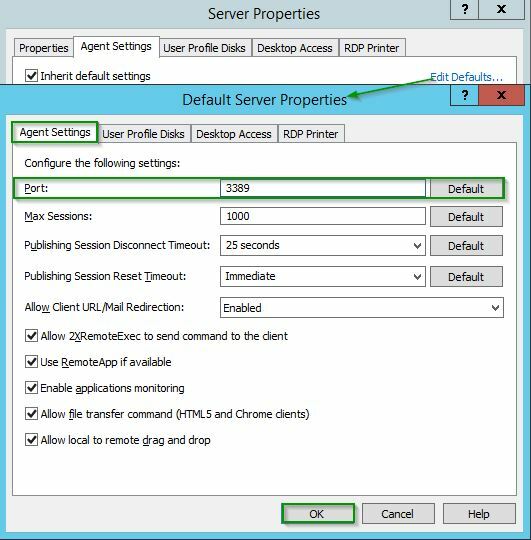 NOTE: If Inherit Default Settings option is disabled, then RDP port can be adjusted right away for only one particular RD Session Host.